Dimidis & Sons is a full service repair shop servicing most American and Japanese cars and specializing in Toyota, Lexus, Honda and General Motors vehicles. 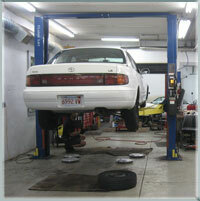 Bring your car in for an assessment, and see what a difference one-to-one contact with an expert mechanic can make. Specializing in Toyota, Lexus and General Motors makes and models.